The Leyline cycle, a series of cards with the Ambush mechanic introduced in Reign of Varna, they allowed players to adjust their decks according to the metagame or shore up its weaknesses effectively with relatively minimal deckbuilding cost. In this article, I'll be analysing the various Leylines in detail, alongside the how and when of deckbuilding with them. There currently isn't much merit in playing this in most Tempys decks as lifegain isn't a particularly dominant force in the metagame, However, it has by far the best body of all the Leylines, and is an phenomenal target for Rage of Kadras. If you detest Wegu, the Ancient and his lifegain compatriots or a lifegain metagame arises, this might become a good choice. Sentry is the Leyline where if your opponent's game plan revolves around bringing in creatures not from their hand, you will trigger this almost every turn you draw him but in other matchups almost never, and coupled with his low attack high health stat distribution, can lead to many awkward hands. Extremely effective against Dysian Broodqueen not so much due to Sentry beating it in a fair fight but because Broodqueen is a weak body with a potent ability, getting a free body can throw a wrench into your opponent's plan. Furthermore, it is also good against Spiritstone Sentry and Progeny of Xith (and by extension, Suruzal, Emissary of Varna) due to their persistence, making it more likely you trigger Sentry. 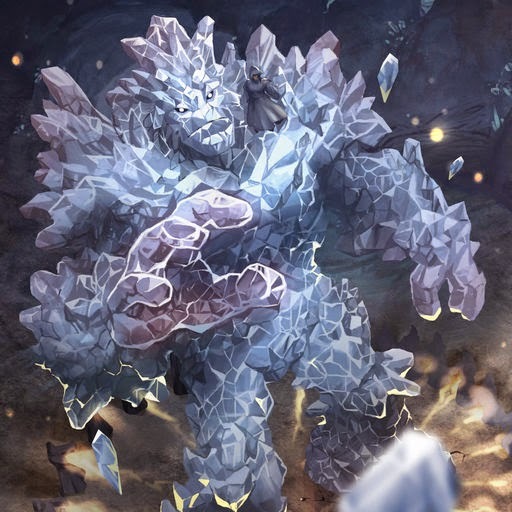 Frostmane Dragon is also another potential trigger, and in the AT Explosives deck, is the only card that can do so. Hence, if you notice your opponent is playing Leyline Sentry, it may be wise to not place your egg down if it's the start of the player level. In comparison to the previous two Leylines I went over, Leyline Demon is far more universal as many modern Solforge decks abuse additional plays; from Duskmaw, Twilight Drake to Static Shock to Ironmind Acolyte, there are a plethora of ways Leyline Demon can jump into play for free. However, it is sometimes let down by its mediocre body, especially when it is underlevelled. Playing around Leyline Demon is usually much simpler in comparison to other Leylines, as you can avoid playing excessive Tendrils of Twilight (Duskmaw's Solbind) or Static Shock, or hold off the Relic Scouts until player level two, where the 4/6 is far less relevant. Cacklebones also has supreme synergy with Leyline Demon, giving you a chance at recovering the play 'lost' by Cacklebones. Countering mobility is a very powerful trait, and that is precisely what Leyline Golem is, extremely powerful. Many powerhouses boast Mobility, such as Nexus Aeronaut and Frostmane Dragon, and having the ability to move is part of what makes them so flexible and powerful. Well, Leyline Golem isn't going to have any of that, with its ability to deny Oratek Explosives and relatively high attack value to trade with many creatures, it is a very powerful tool in its own right. Playing against Leyline Golem can be tough as sometimes you have to move, and in those cases, careful sequencing is key to prevent any mishaps, for example, moving the creature that would result in the least worst board state first if you have multiple creatures with Mobility, and playing cards like Oratek Explosives after you have tested for Golem, and of course, never move unnecessarily, your Brightsteel Gargoyle is fine in Lane 4 as is. Ironbeard, Hammer of Anvillon has hilarious synergy with Golem as knocking away an opposing creature on your opponent's turn will trigger Golem for value. Now that we covered the individual perks and quirks of each Leyline, how do we get to playing with them? You can't really jam them into every deck you make, you have to include them for a reason. You utilise cards your opponent would like to manoeuvre around, like Spiritstone Sentry and Dozer, the Dormant, which would make Leyline Golem a smart choice to punish plays like that. You have a glaring weakness to particular strategies, like an AU deck against Dysian Broodqueen or Bron, Wild Tamer, Leyline Sentry can help shore up that flaw. Or using cards that have immense synergy with the Leylines, like my Ironbeard and Cacklebones example above. A general rule of thumb is that you almost never put them in the first draft of the deck unless you find yourself with spare slots, and you should adjust their numbers depending on what you face, as their inclusion is highly dependant on the metagame. When thinking about what Ambush cards you should play around, pay attention to your opponent's faction combination. Your opponent obviously cannot play Leyline Demon if he is on AU, so fire those Static Shocks with reckless abandon. Tarsus Deathweaver and Oreian Justicar both affect the Leylines as they come into play as a copy is placed from your hand when they are triggered, which makes Deathweaver good company to them, and Justicar good hate. Never forget to play around the Leylines to the best of your ability even if it seems no one is playing them, a complacent mindset will lose you games you had no right to lose. And that covers the Leyline cycle! Hopefully you have enjoyed reading this piece, despite my sudden 40 day hiatus (The writing skills be rusting. ), and this improves your Solforge game against those pesky Leylines.